Increases Parry Rate and Melee Critical Damage. Decreases received Melee and Ranged Physical Damage. Increases Magic Attack and Magic Crit Rate +. Increases Agility, Attack Speed and Move Speed. Increases Block rate and decreasing Move Speed. Increases Attack Speed +350, and Move Speed +30%. Increases Defense and Magic Defense. Increases attack damage and Attack Speed. Increases Healing Power and Magic Attack +7 per stack. Decreases Songcraft Cooldowns -0,4 seconds per stack. Stacks up to 15 times. Increases Melee Attack + 64 for 30 min. Increases Ranged Attack + 64 for 30 min. Increases Magic Attack + 64 for 30 min. Increases Healing Power + 64 for 30 min. Focus + 720 for 30 min. Increases Melee Attack + 70 for 30 min. Increases Ranged Attack + 70 for 30 min. Increases Magic Attack + 70 for 30 min. Increases Healing Power + 70 for 30 min. Focus + 780 for 30 min. Increases Melee Attack + 80 for 30 min. Increases Ranged Attack + 80 for 30 min. Increases Magic Attack + 80 for 30 min. Increases Healing Power + 80 for 30 min. Focus + 900 for 30 min. Increases Magic Defense + 1800 for 30 min. Increases Magic Defense + 1200 for 30 min. Increases Magic Defense + 600 for 30 min. Increases Physical Defense + 1800 for 30 min. Increases Physical Defense + 1200 for 30 min. Increases Physical Defense + 600 for 30 min. Increases move speed + 10%. for 60 min. Increases all attributes + 70 for 60 min. Increases all Attacks and Healing Power 4%. for 60 min. Decreases cooldown of skills - 10%. for 60 min. Decreases damage received by 5%. for 60 min. Increases Physical Attacks, Magic Attacks and Physical Defense + 25%. for 30 min. Increases Physical Attacks, Magic Attacks and Physical Defense + 20%. for 15 min. Increases Physical Attacks, Magic Attacks and Physical Defense + 15%. for 15 min. Increases Physical Attacks, Magic Attacks and Physical Defense + 10%. for 15 min. Increases Physical Attacks, Magic Attacks and Physical Defense + 5%. for 15 min. Increases Physical Attacks, Magic Attacks and Physical Defense + 2%. for 15 min. Increases Melee and Magic Attacks + 10%. for 60 min. Increases Melee and Magic Attacks + 69 for 30 min. Decreases all types of received damage - 48 for 30 min. Increases move speed + 5%. for 30 min. Increases Mana and Health + 1000 for 30 min. Increases Toughness + 500 for 30 m.
Increases Resilience + 397 for 30 m.
Increases Focus + 350 for 30 m.
Increases Defense Penetration +700 for 30 m.
Increases Magic Defense Penetration +700 for 30 m.
Increases PvE Skill Damage +2.3%. Decreases PvE Received Damage -2.0%. Increases PvE Skill Damage +2.8%. Decreases PvE Received Damage -2.4%. Increases PvE Skill Damage +3.8%. Decreases PvE Received Damage -3.2%. Increases Strength +30 for 30 minutes. Increases Agility +30 for 30 minutes. Icreases Stamina +30 for 30 minutes. Increases Intelligence +30 for 30 minutes. Increases Spirit +30 for 30 minutes. Increases Strength/Agility/Stamina/Intelligence/Spirit +30 for 30 minutes. Increases max health + 218 for 30 min. Increases max health + 436 for 30 min. Increases max health + 728 for 30 min. Increases max health + 1040 for 30 min. Increases max health +1300 for 30 min. 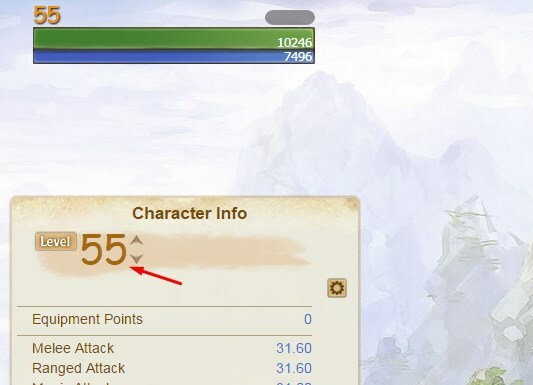 Decreases PvE received damage - 4%. Increases max mana + 218 for 30 min. Increases max mana + 436 for 30 min. Increases max mana + 728 for 30 min. Increases max mana + 1040 for 30 min. Increases max mana + 1300 for 30 min. Increases PvE Skill Attacks + 6%. Increases PvE Skill Damage +4.0%. Decreases PvE Received Damage -3.5%. Increases max health + 1300 for 30 min. Increases Move speed + 5%. Received damage has a chance of restoring Health. Increases Melee Attack +7% and Attack Speed +177 for 15 sec. Increases Melee Attack +10% and Attack Speed +250 for 18 sec. and Healing Power + 5.
received Ranged Damage - 4%, and received Magic Damage - 4%. Increases earned Vocation Badges +1. Decreases Production Time - 5%. and Healing Power + 10.
received Ranged Damage - 6%, and received Magic Damage - 6%. Increases Melee Attack + 5. Increases Magic Attack + 5. Increases Healing Power + 5. Decreases received Damage - 5%. 17.04.2019 Added T2 Erenor gear, Ayanad Lunafrost and Noryette accessories. 29.01.2019 Added T4 Hiram gear. 07.12.2018 Added skills ver. 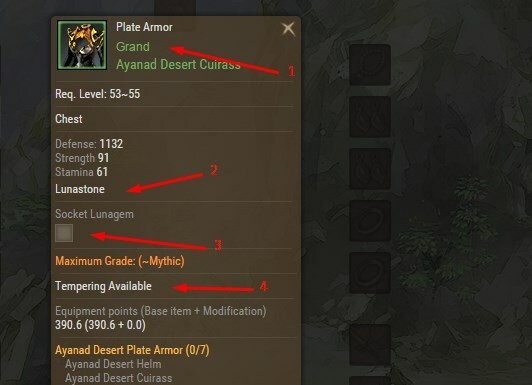 5.0, new items level. The other day, add the remaining changes. 29.11.2018 Next week I will update to ver. 5.0. 22.09.2018 Added T3 Hiram gear. 30.08.2018 Added T2 Hiram gear. 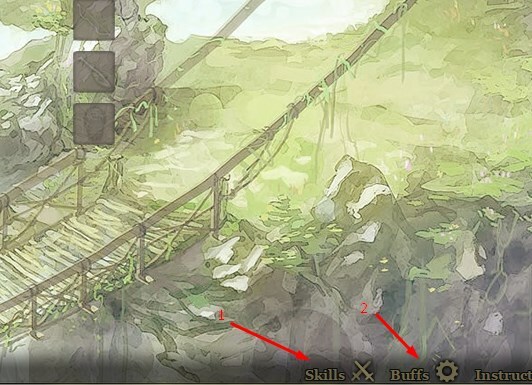 18.06.2018 Added skills of 4.5 ver. Further I'll add Ancestral skills and fix some buffs. To connect new scripts and images, you need to clear the browser cache. 13.06.2018 Added Lunastones for costumes and new Lunagems. Also updated the formulas of many characteristics in accordance with version 4.5. In the future I'll update skills and buffs. 02.06.2018 In the next few days I'll start updating to 4.5. 26.02.2018 Updated the GearScore formula for all items except weapons and instrument (They have a different formula). The difference with the general real GearScore of the character can be ~ 3 units. In the next update try to put a real formula for weapons and instrument. 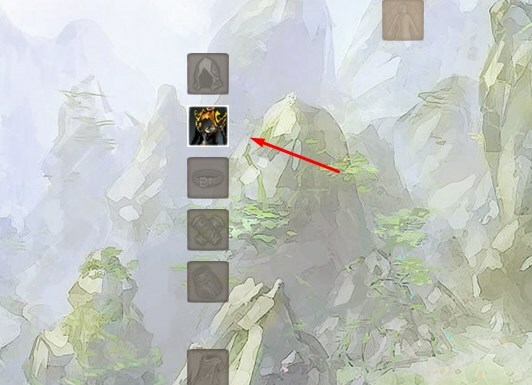 15.12.2017Skills, lunagem updated to 4.0. The rating of the equipment is still counted at 3.5. I'm looking for a formula. 08.07.2016 I had to change hosting. Some links at 08.07.2016 may not be available Test work of website. 17.06.2016 if you are using a browser based on Chromium, and he occasionally crash on this site, try using Firefox until we figure out the cause. 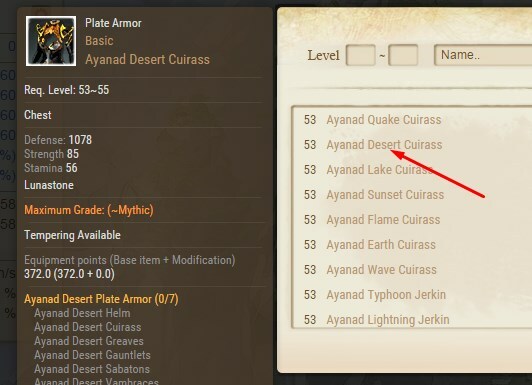 13.02.2016 Added the ability to wear armor set the desired grade in one click. 02.02.2016 Removed temporary buffs costumes. You need to resave any item for the coming into force of the amendment. 01.02.2016 Items, skills and buffs were updated up to the 2.5 ver. 25.01.2016 Added Menu ver. 2.5. Skills, buffs and items will be added after the release. 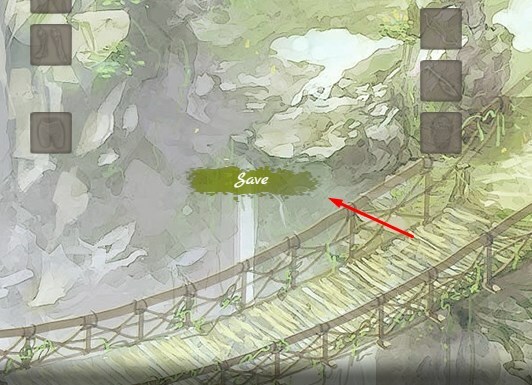 To display the new settings need to resave any item. 22.01.2016 Added the ability to compare items. Click "Change". 18.01.2016 Added buffs "Rhythm", "Bondbreaker" and Combo "Redoubt" & "Liberation". 27.12.2015 Added the ability simultaneously insert gems in several slots. 23.12.2015 Corrected the description of skills. Fixed some bugs in the effects of the sets. 16.12.2015 Launched a test version. Currently, there are two main problems - the value of "Skill Cooldown" considered approximate and the values of the some parameters (such as Agility, Strength, etc) in some case can have deviation, but not more than One unit. If any items are missing - send me the screen shots of these things in to aacalc@mail.ru, and I’ll add it.